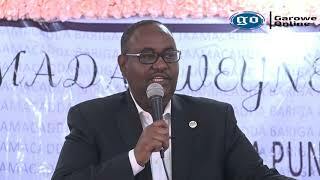 Speaking at a press conference in Hargeisa, Somaliland’s Minister of Livestock Abdullahi Mohamed Dahir “Ukuse” welcomed the lifting of the ban, and said they will export millions of livestock to the Gulf state. 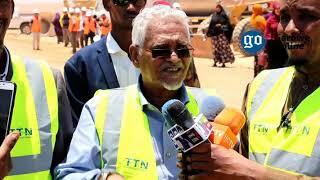 "I congratulate the people of Somaliland that the ban on Somaliland livestock exports has been lifted, and Saudi Arabia has accepted to import millions of goats and sheep for this year's Hajj," Ukuse said. According to Minister Ukuse, a high-level delegate led by Somaliland President Ahmed Mohamed Mohamud Siilaanyo paid a visit to Saudi on a mission to lift the ban on the region's livestock exports. 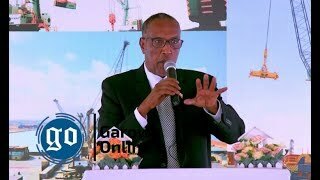 In June, Somaliland said it has severed ties with Qatar, siding with Saudi-led bloc, as Somali government and its Federal state members took a neutral stance on the diplomatic crises between the Gulf states. Qatar has not established previously any diplomatic relation as the state is not internationally recognized. 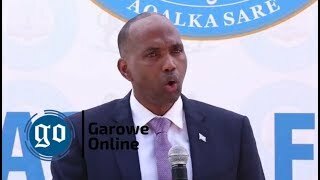 On Saturday, July 22, the Livestock Minister of Somalia Sheikh Mohammed Hassan, told reporters in Mogadishu, that the country will export one million animals to Saudi Arabia. 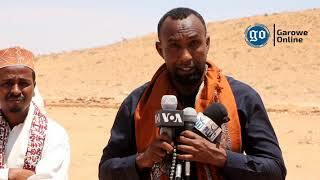 The minister said that the Kingdom of Saudi Arabia has accepted the Somalia request to lift the ban for sake of the pilgrimage and allowed to import more than one million animals, mainly goats to feed the millions of Muslims making the pilgrimage to Mecca. The Livestock export is an important mainstay in Somalia's economy, contributing to about 40% of the country's gross domestic product (GDP). In 2016, Saudi temporarily stopped livestock imports from Somalia over unknown illnesses affecting domestic animals. 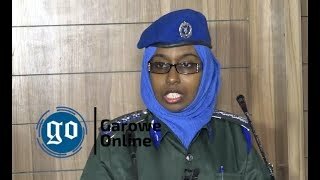 DUBAI, UAE- In the past days a story about a Somali competitor in the annual Quran competition in the United Arab Emirates (UAE), was rumored in the social media to be linked to Somalia’s position to stand neutral on the Gulf crisis, Garowe Online reports.